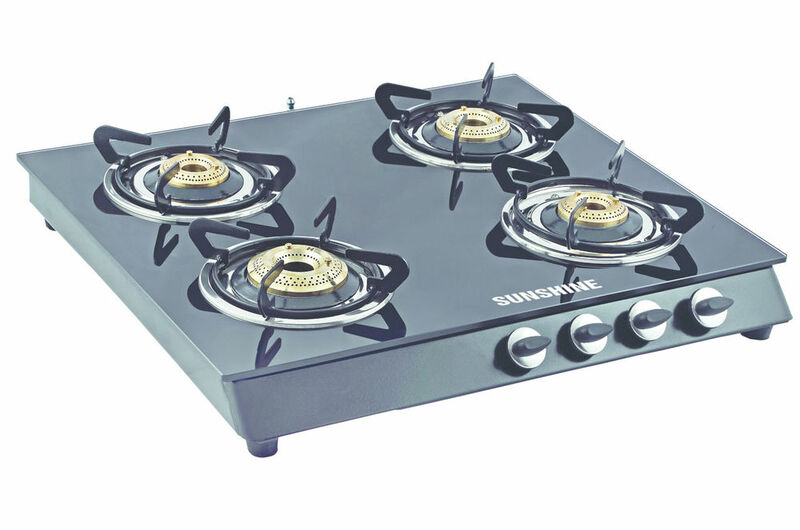 Sunshine Alfa MS Four Burner Toughened Glass Gas Stove gives your kitchen the modern look it requires. The sleek toughened glass top enhances the aesthetics of the stove while at the same time ensuring your safety. 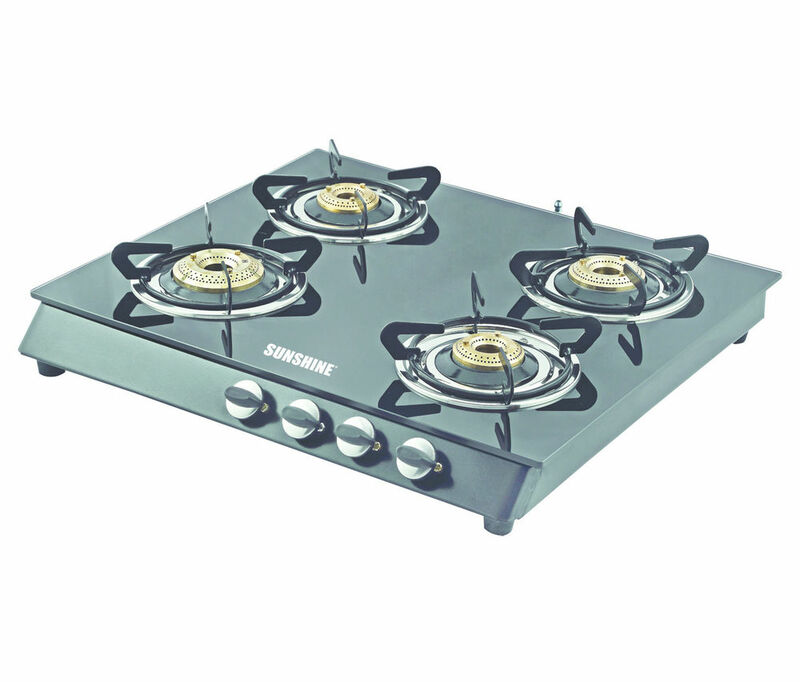 The cooktops ensure maximum fuel efficiency and each and every component is made with maximum precision.